A health expert has warned of an off-the-scale demand for ‘bodybuilder drugs’ in Greater Manchester. 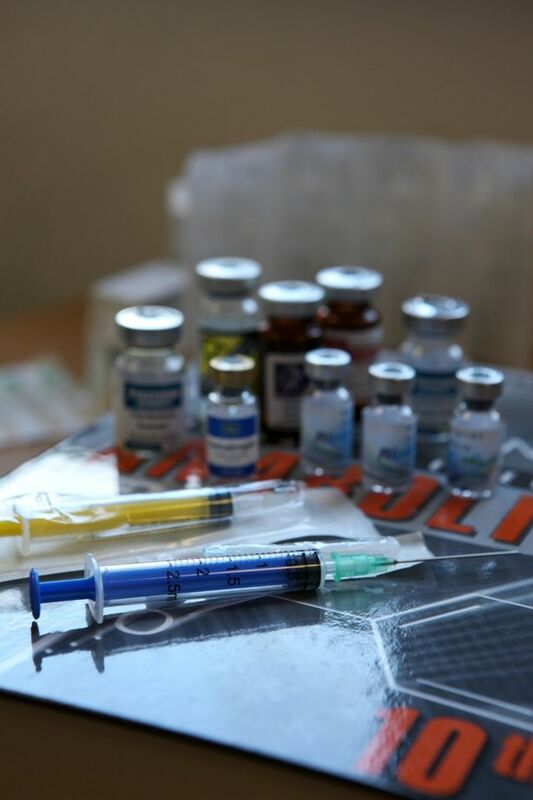 Police made 1,488 seizures of steroids across the region last year – almost double the previous year’s total of 799. So-called ‘needle shots’ of steroids can cost as little as £2. And their use is now said to extend well beyond bodybuilders, with police officers, security guards, and even builders turning to the drugs. Around 600 steroid users are on the books at the NHS-run Pump Clinic in Ancoats, which provides advice and runs a needle service to make sure the drug is used safely. Colin Tyrie, public health advisor at Manchester Mental Health NHS Trust, said the ‘trickle’ of people coming to the clinic had now become ‘quite a torrent’ because of the growing pressure on young men to look good. And, he says, he fears the new markets for steroids could create health problems. He told the M.E.N: “When they were really easily accessible but with a smaller demand, we tended not to get a lot of problems with them. “The people who were using them knew a bit more about it and they researched them to an extent and they were generally athletes or body builders. The clinic is now seeing athletes like rugby players and cyclists, as well as professionals who see being big as advantage. Even young actors who have to change shape for a new role have visited the clinic. Experts say men drawn to steroid use can be suffering from ‘Adonis body syndrome’ or ‘bigorexia’. Side-effects like acne, hair-loss and shrunken testicles are associated with the drug, as well as problems with fertility, the liver and heart. In 2012, the MEN reported how a fitness fanatic who planned to become a doctor collapsed and died after taking anabolic steroids. Mohammed Belkhair, 19, suffered a deadly reaction to the performance-enhancing drugs which he ordered from an internet site and took secretly. The Pump Clinic in Ancoats warns people not to take steroids – but still have 600 users on their books. Staff warn them about the side effects of steroids as well as clean needles but it’s not what most of them want to hear. So they’re also told, if they insist on using steroids, to do so carefully and they’re given advice and clean syringes. They aren’t given steroids. Newcomers to the drug often take it in the form of a pill whose affect is broken down by the liver but then they graduate to injecting steroids because it’s more potent although more risky, especially if sharing needles. They open themselves to the possibility of contracting HIV and Hepatitis B and C.
Apart from helping the increasing number of young men taking steroids, the clinic also works to gain the confidence of often mistrusting body-builders and gather information on how the drug affects them over the next few years. Colin Tyrie, public health advisor at Manchester Mental Health NHS Trust, said: “The male role in society has become quite damaged. It’s not sure what it is any more. Men don’t have an identity like our fathers did so there’s this sense we’re trying to fulfil that. Despite the associated risks of taking steroids, Mr Tyrie said further study was needed to understand the long-term affects. It’s legal to possess anabolic steroids but not to trade in them. Only pharmacists can sell the Class C drug to someone with doctor’s prescription. Importing and exporting the drug is lawful as long as it’s to enable personal use and is done in person, and not via the post. Possession of the drug or importing it with intention of supplying it (which includes giving them to friends) is illegal and could lead to 14 years in prison and an unlimited fine. Steroids mimic hormones like testosterone which regulate how the body develops.